The Uwell Crown III Sub Ohm Tank has a 5ml e liquid capacity with a convenient top filling system. The tank measures at an approximate 24.5 mm diameter which makes it a perfect in-between size for all sorts of mods. Plus with its 510 threading you can pair the tank with almost any mod that handles sub ohm vaping. 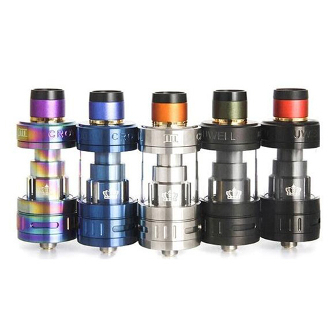 The Uwell Crown III comes in many shiny and brilliant colors and a classic structure for an overall elegant appearance.